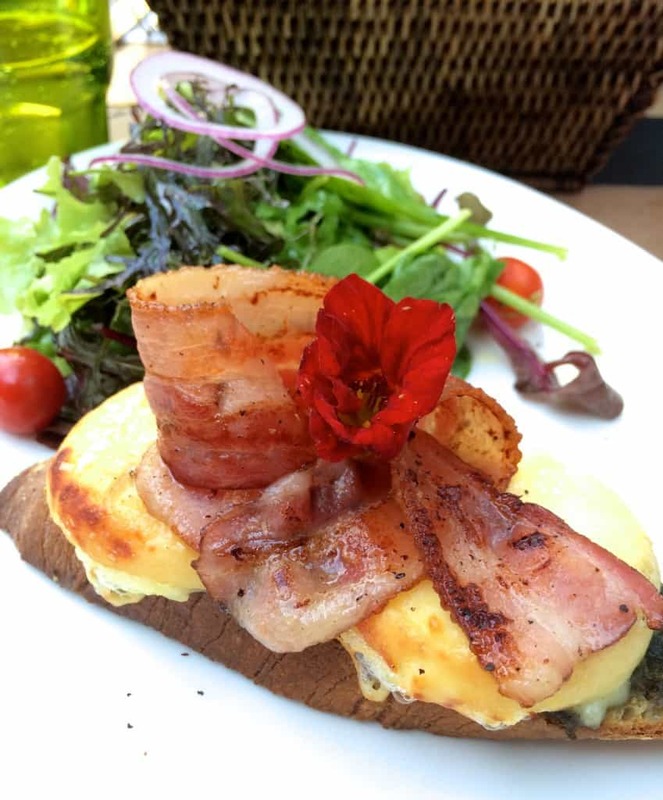 Enjoy a tour of Carouge and Old Town Geneva, including a recipe that was inspired by my lunch at a restaurant in Carouge, for cheese and bacon crostini. I was so happy to be able spend most of the day with Gaetane, learning so much about Geneva and a small municipality called Carouge. We started from the Manotel Hotel Royal, and I was able to use my free Geneva transport card once again, to take the tram to Carouge. 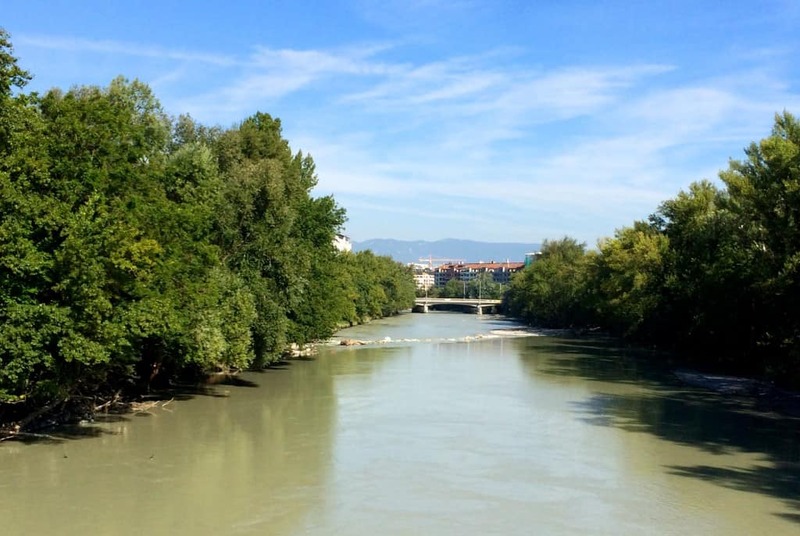 We alighted just before the town we were to explore, so that we could cross the Arve River and arrive in Carouge on foot, not missing a thing. Apparently, earlier this year, the flooding along this river was the worst in 80 years, and the water level practically doubled from what you see here. This was my first view of Carouge, and I was immediately smitten. 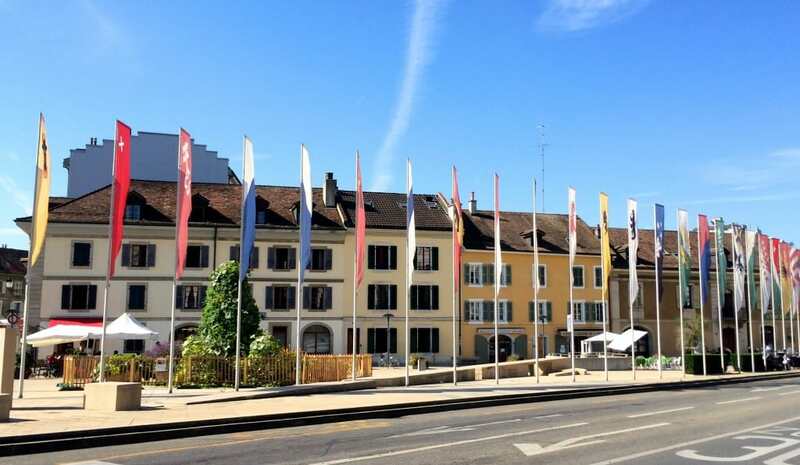 Gaetane explained the rich history behind the municipality of Carouge, and how it had been a separate entity from Geneva until 1816. 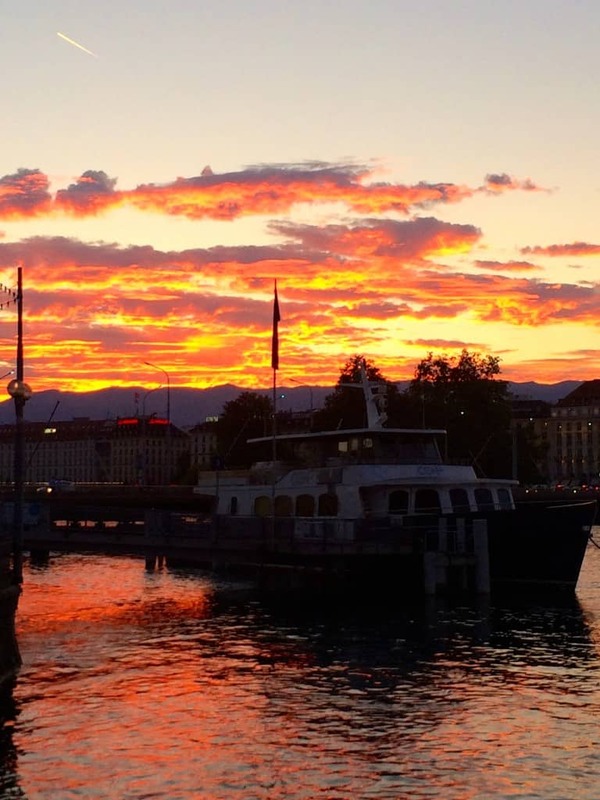 In fact, when Geneva was under Protestant rule, people would sneak across the Arve River to enjoy themselves, drinking and dancing in Catholic Carouge. So I suppose you could say they came to “carouse in Carouge”! Most of the buildings in Carouge were designed by architects from Turin, as commissioned by the King of Sardinia at the time. As I entered the town, I definitely had the feeling that I was in Italy. 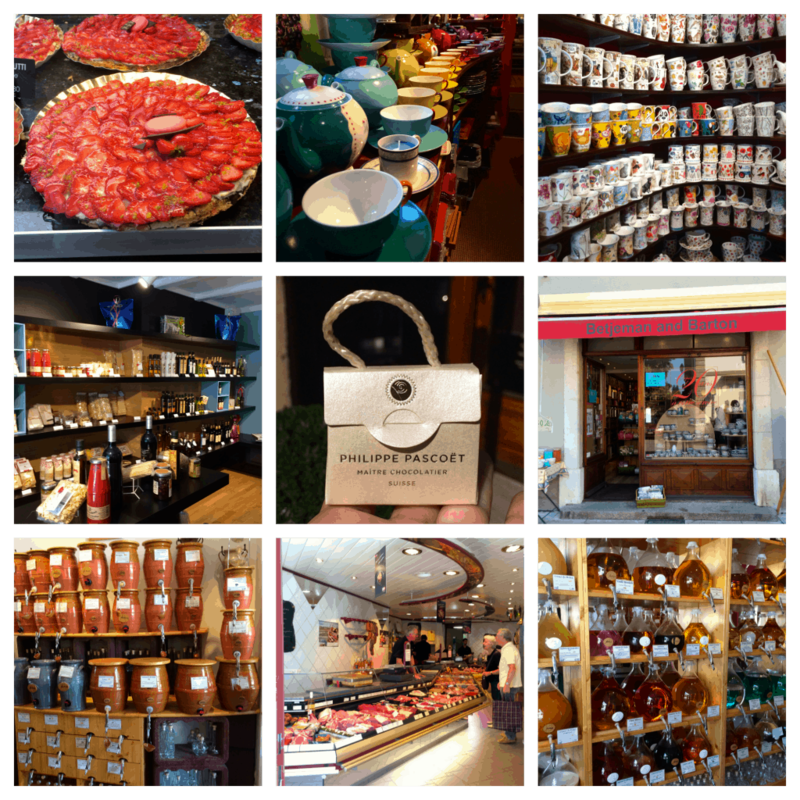 Gaetane and I walked through Carouge, stopping into chocolatiers, specialty food shops, patisseries, (an beautifully stocked) tea shop, a wonderful butcher, you name it, Carouge had it. If only I had a (large) spare suitcase, I could have really gone to town! 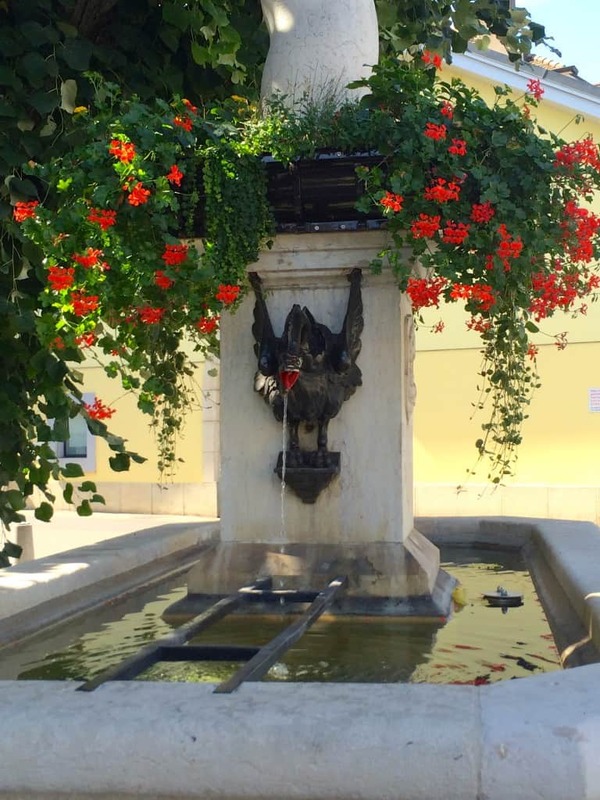 We continued to walk through Carouge, admiring so much beauty at every turn: artistic fountains, each one telling a story, gorgeous balconies spilling over with flowers, and hidden courtyards which are havens of privacy for residents (which is the way the entire town was designed). 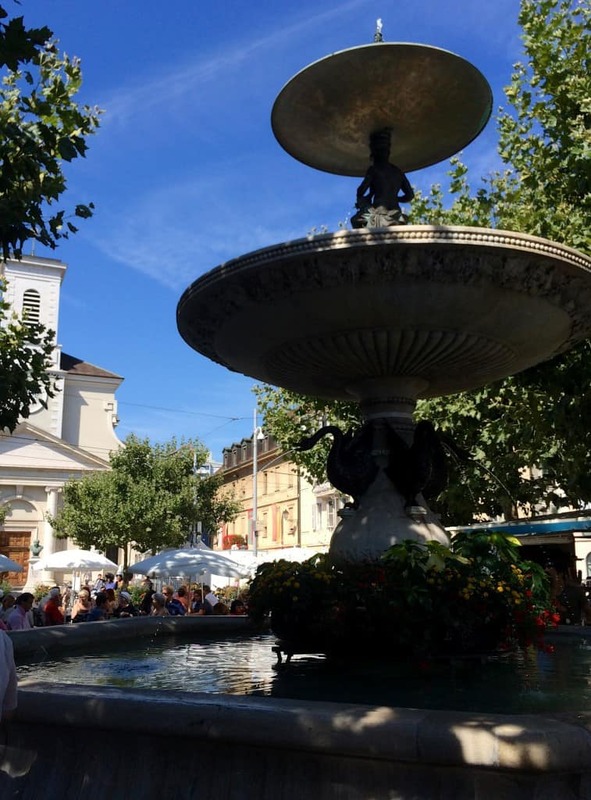 I just loved the atmosphere in Carouge; it was very relaxed and I actually felt as though I was somewhere familiar. After seeing all the fresh produce at the outdoor market, Gaetane and I were sufficiently hungry. 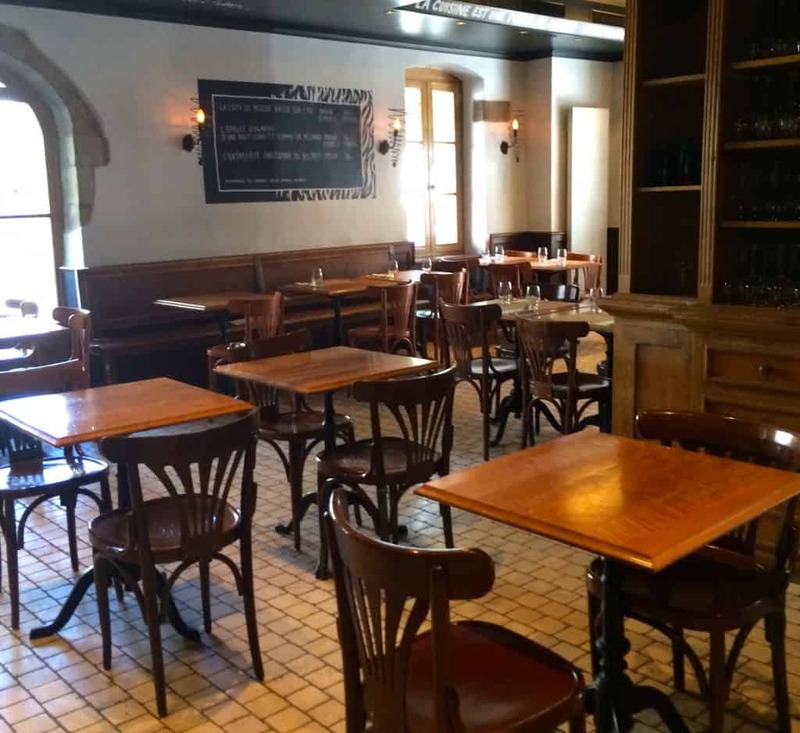 So we made our way to a Parisian style eatery called Café du Marché . We were seated in the small, private terrace. 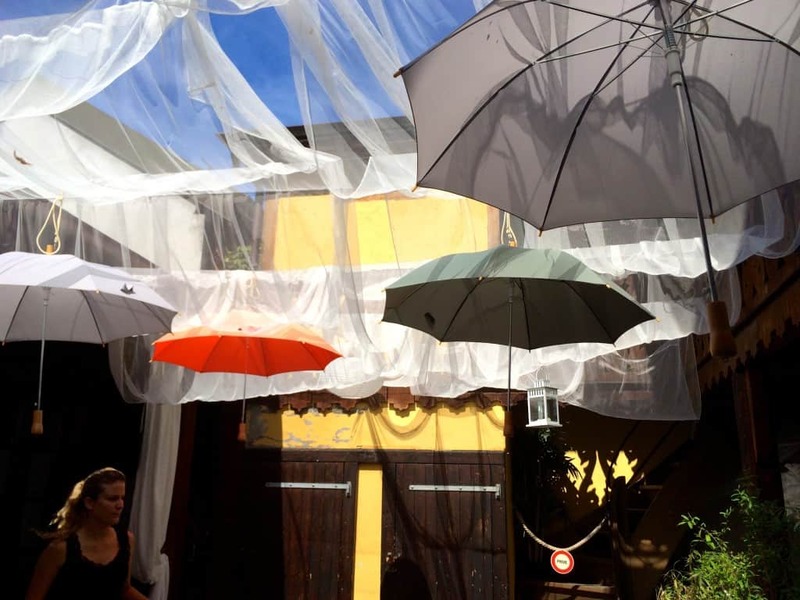 It was casual, a bit Bohemian, and whimsically decorated; I liked the umbrellas suspended above us! And the food? Does the fact that I’m posting a copycat recipe from what I ate there tell you anything? 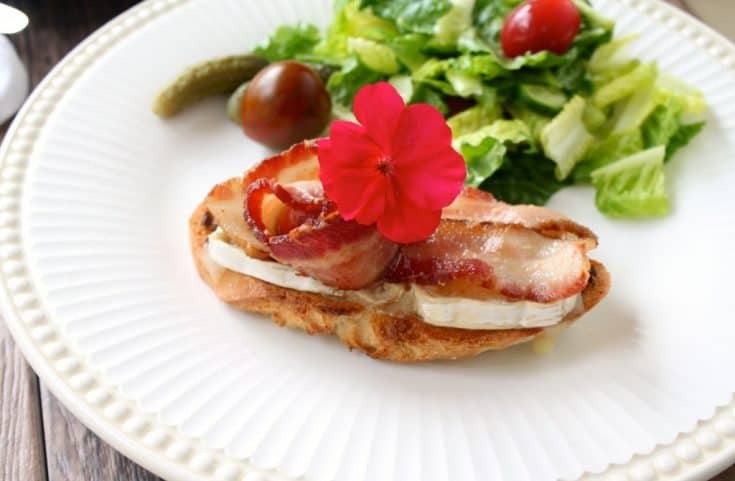 I had the bacon and goat cheese crostini, which was marvelous (recipe below). 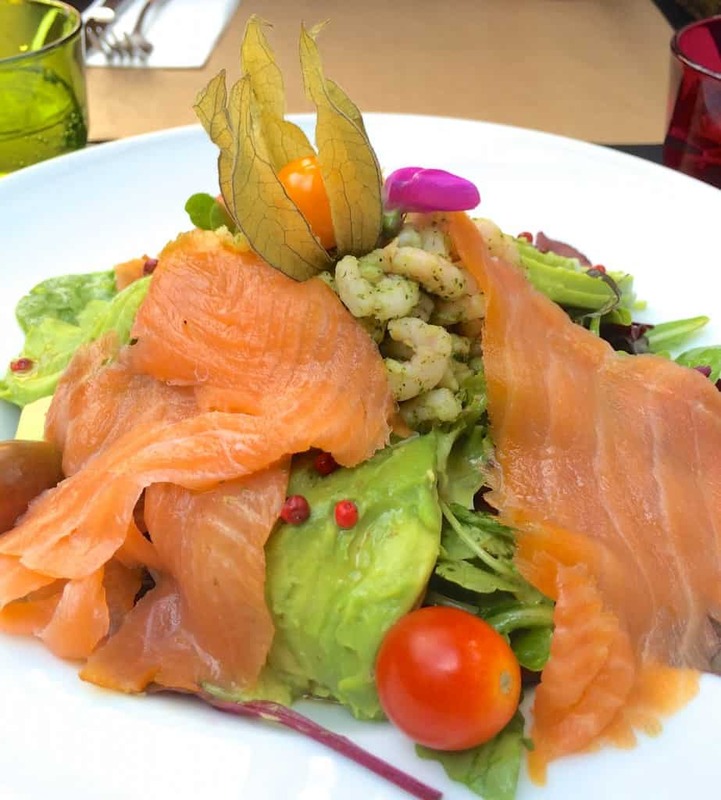 Gaetane had a smoked salmon, shrimp and avocado salad which looked top-notch! Would you believe I had fries instead of dessert? Yes, that would be a fact. Gaetane said she’d never seen anyone do this before. I’d have to agree, I’ve never seen anyone do this before, either. They just looked so good, I couldn’t resist! After lunch, we headed back towards Old Town Geneva on foot. 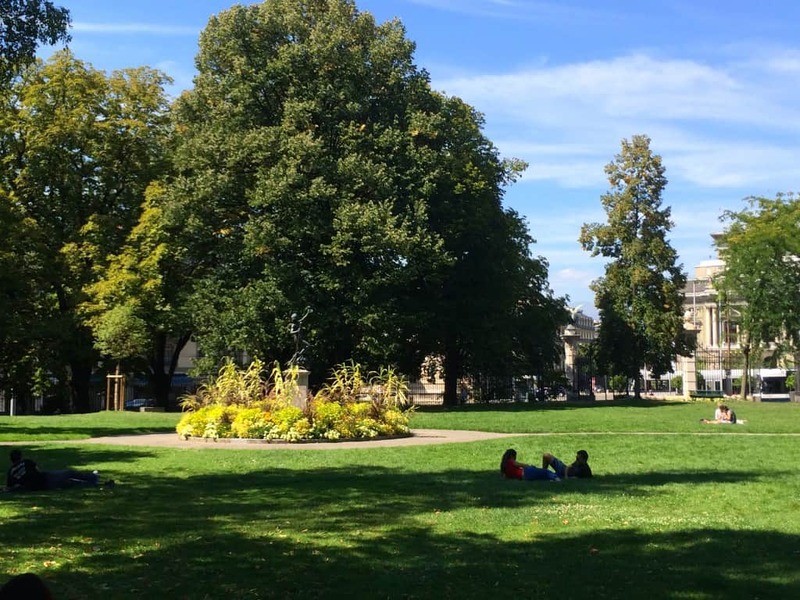 Gaetane told me about the wonderful parks in Geneva as we walked through one of them. 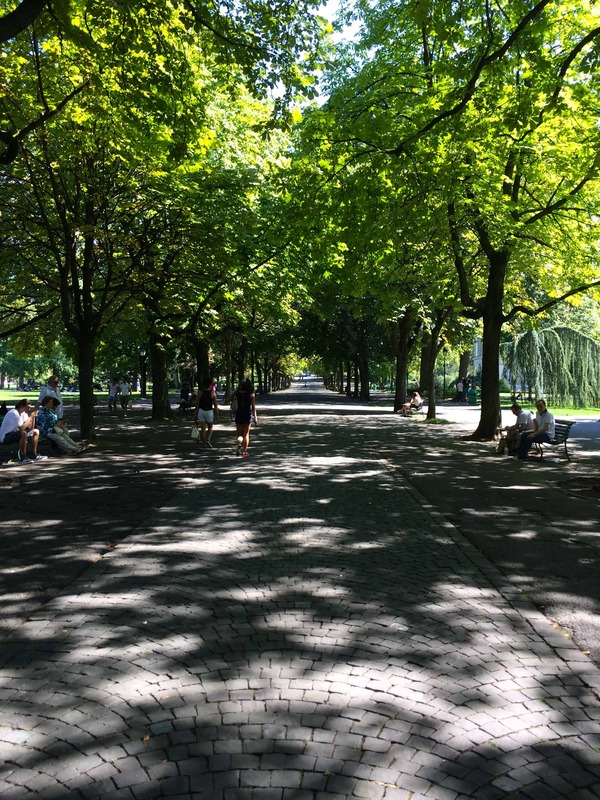 The shade was welcoming on such a hot day. 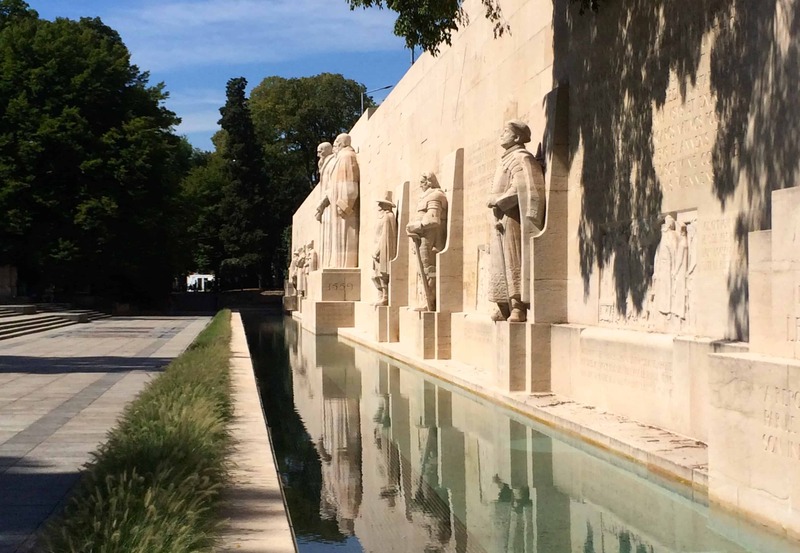 Soon, we came upon The Reformation Wall, located on the grounds of the University of Geneva within the Old Town walls. It is a monument which was built to honor those involved in the Protestant Reformation. Our next stop was at the location of the signing of the Geneva Convention! I always love visiting significant historical places, so this is another checked off my list. In the courtyard, I noticed a brass plaque and the name, ALABAMA, caught my eye. 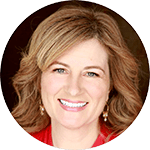 It was written in French, so Gaetane explained that it was because the document was signed in the Alabama room of the Geneva Town Hall. Within the same courtyard was a very interesting ramp, which was designed to allow riders on horseback to enter the building! We meandered through Old Town, until we came down the hill and back to the busier shopping streets. 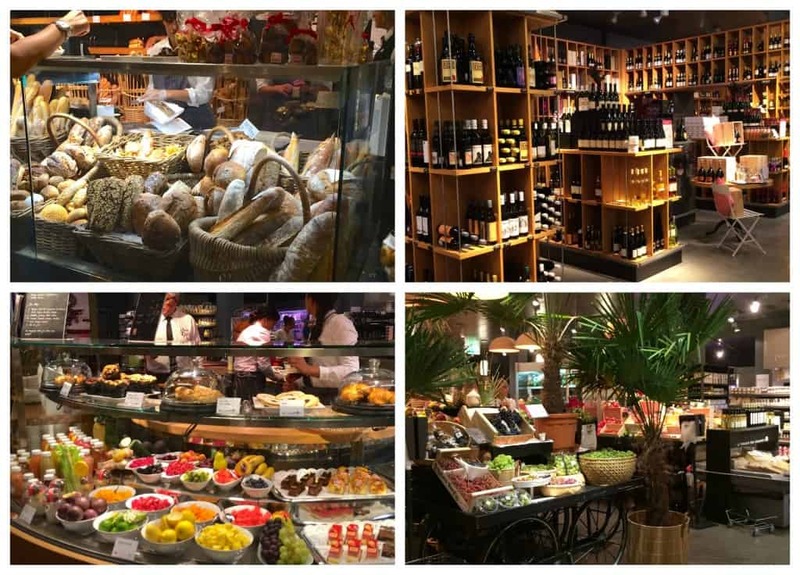 Knowing my penchant for all things food, Gaetane took me to a very large department store called, GLOBUS. We went straight downstairs into the lair of deliciousness! Need I say more? Next, we walked to the lakefront, which was close by, stopping by the English Gardens and famous Genevan landmark, the flower clock. 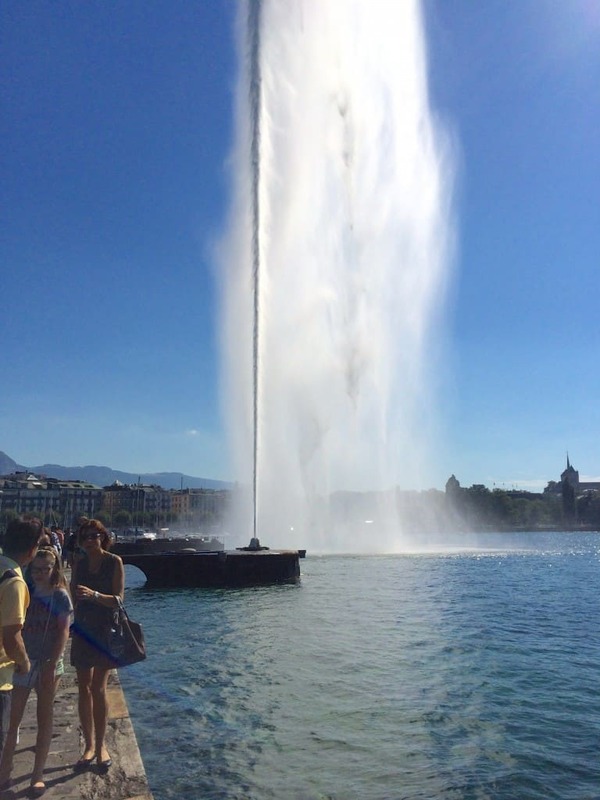 Our destination was the Jet d’Eau (the water jet) and I was surprised that there were no railings on the cement walkway (this is because I live in the US and am used to tags on hair dryers telling consumers that they are not to be used in the bathtub). It was refreshing to be held to my own common sense in Europe. 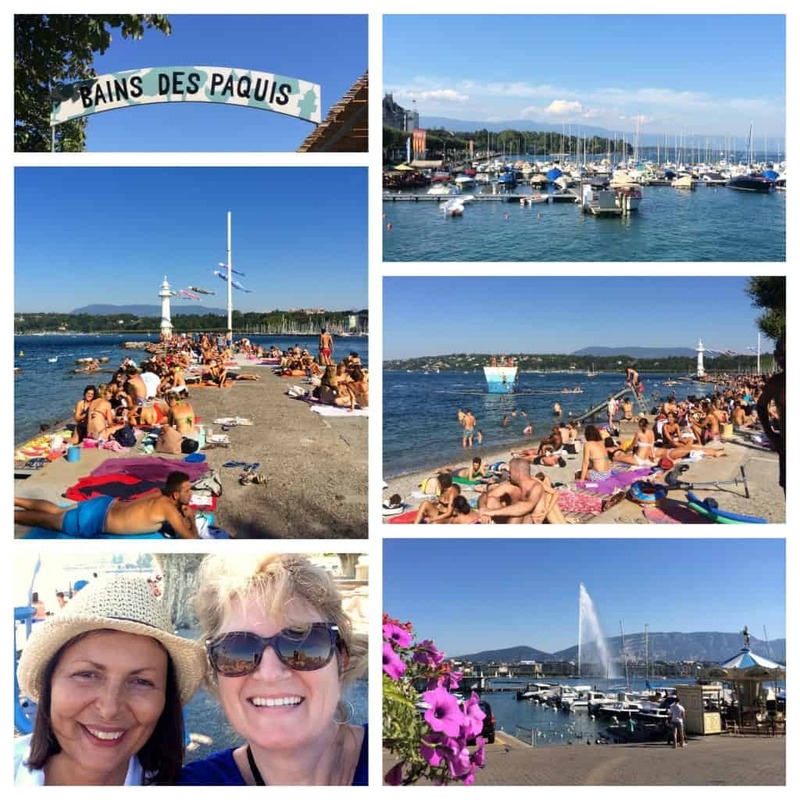 Gaetane and I then caught a Moette to the other side of Lake Geneva so that she could take me to the the Bains des Paquis, which apparently is the spot to sunbathe in Geneva! I put my foot in the water and was surprised at how warm it was. We took some time to rest in the shade and enjoy the brilliant spot and gorgeous views of the lake, and I even got a “selfie” of us together! It was almost time for Gaetane to leave me for the day, but we had just enough time to pop over to the business district of Geneva to see the United Nations building, and the Broken Chair, but first you have to see this beautiful balcony I spotted along the way! 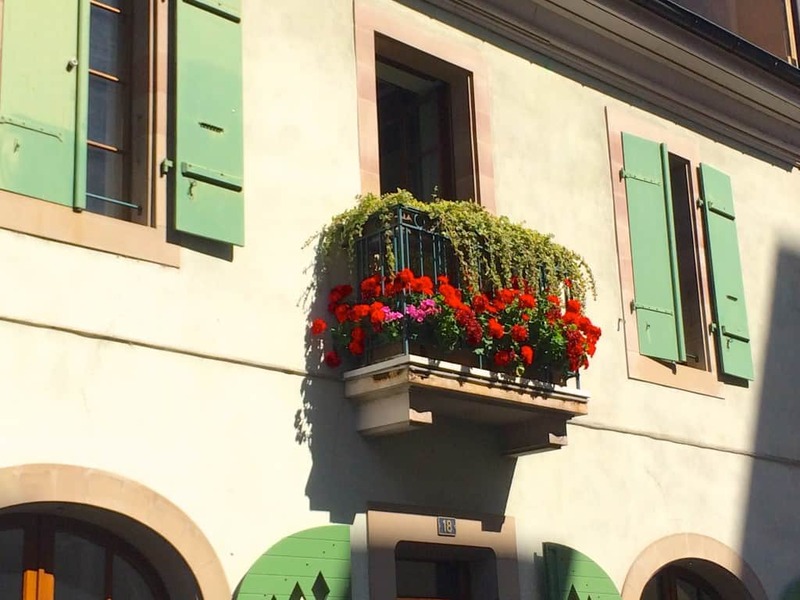 You might say I was infatuated with balconies in Geneva! I was really impressed with the tram; it looked so futuristic and was very spacious! Within minutes we had arrived at our destination. 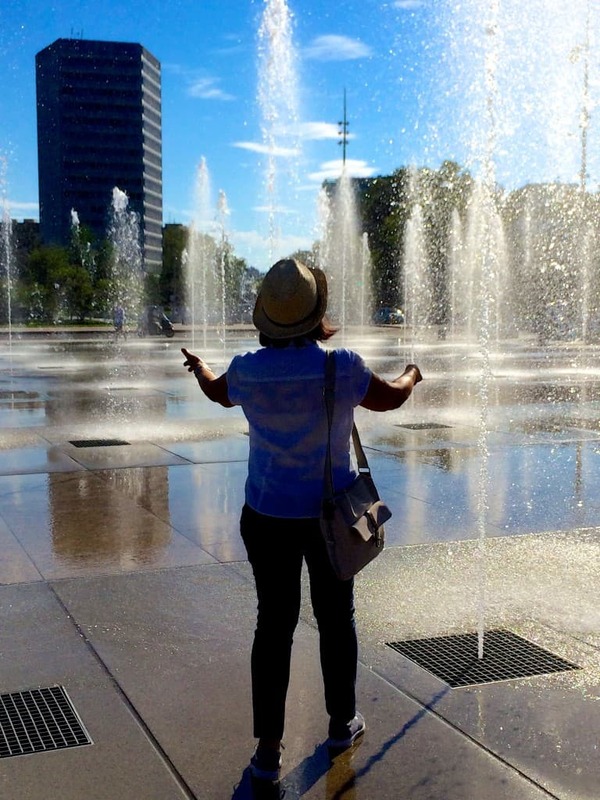 Gaetane was so hot she couldn’t resist a spritz from the fountain. I think she’d earned it many times over! 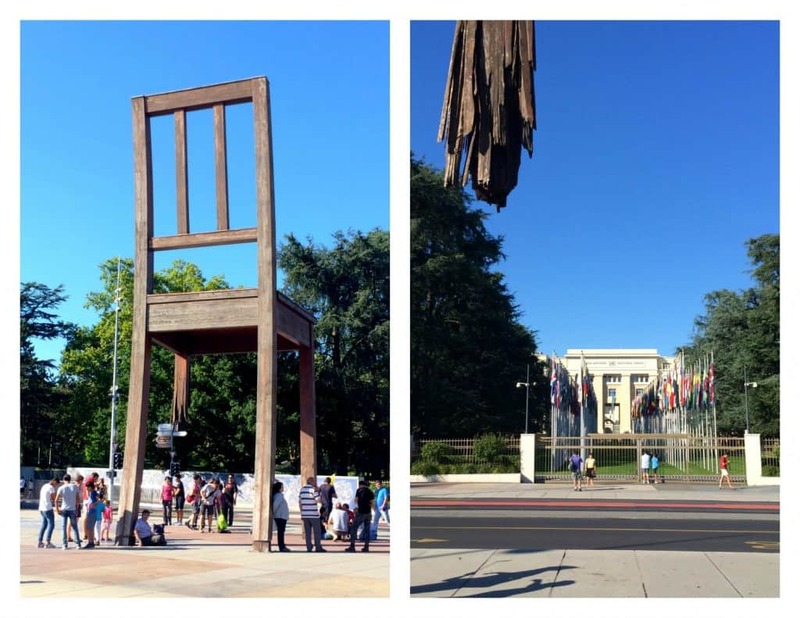 I was so excited to see the UN building (Palace of Nations) in person, however, I’d never heard of The Broken Chair before. This is a massively large sculpture using 5.5 tons of wood designed by a Swiss artist in opposition of land mines and cluster bombs. We headed back to Hotel Royal, and said our goodbyes. I had about an hour to get ready before going to dinner across the lake at La Potiniere (which apparently means “a gossip” or in Glaswegian, “a blether”)! 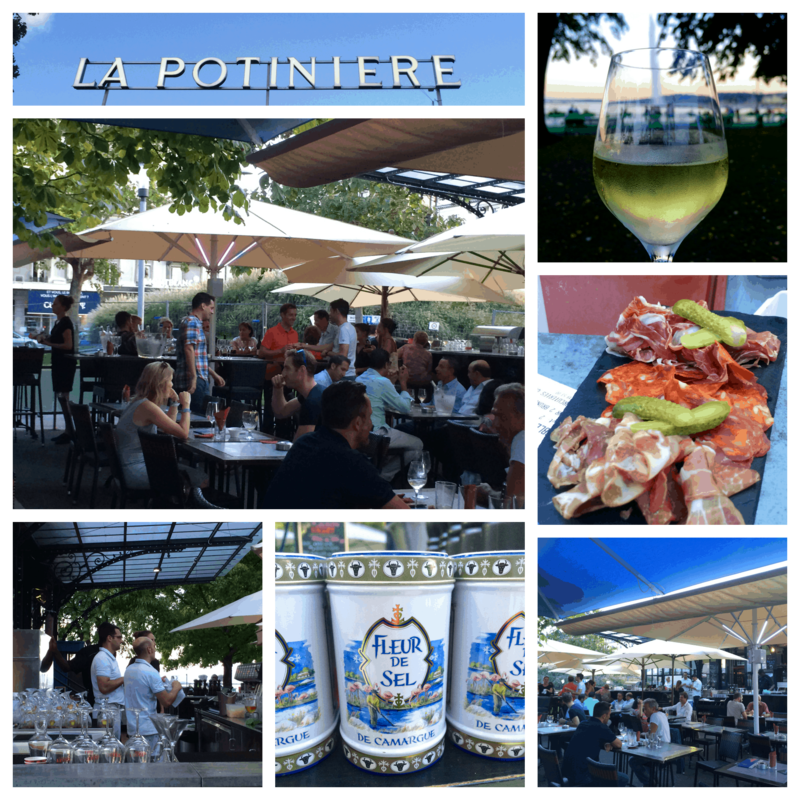 I arrived at La Potiniere (right next to the flower clock), just before sunset; it was a lively restaurant with lots of outdoor seating and views of Lake Geneva nearby. I ordered a glass of Swiss white wine (Empreinte Blanche) and perused the menu. I decided on the grilled fera with lemon cream (the same fish as we used in Chef Bedouet’s cooking lesson), with an order of frites (yes, twice in one day)! The fish was very good, (but it didn’t top Chef Bedouet’s preparation from the previous day)! As the sun set, I admired the colors of the sky and was treated to a truly spectacular sunset. 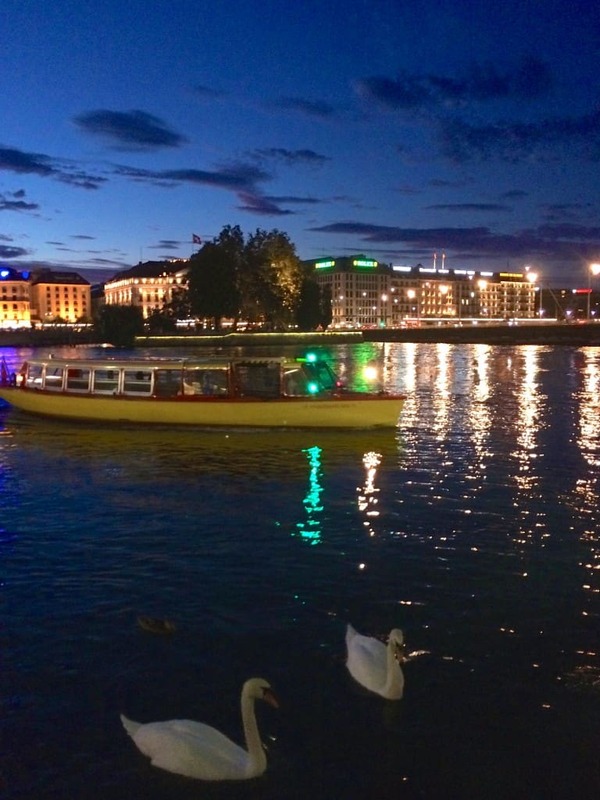 As I had an early morning flight the next day, I took the Mouette back across the lake after taking in the view of swans and the beautiful reflection of the lights in Lake Geneva. I was heartbroken that my time in Geneva had already come to an end, but was so grateful to have seen and done as much as I had, in just two days. For the second night in a row, Lake Geneva was dappled in dazzling moonlight, and I knew I was one of the luckiest people on earth! Currently, the Swiss franc is almost equivalent to the US dollar, so converting prices is easy. Try to give yourself three days minimum (I would have loved to have stayed at least one more day). 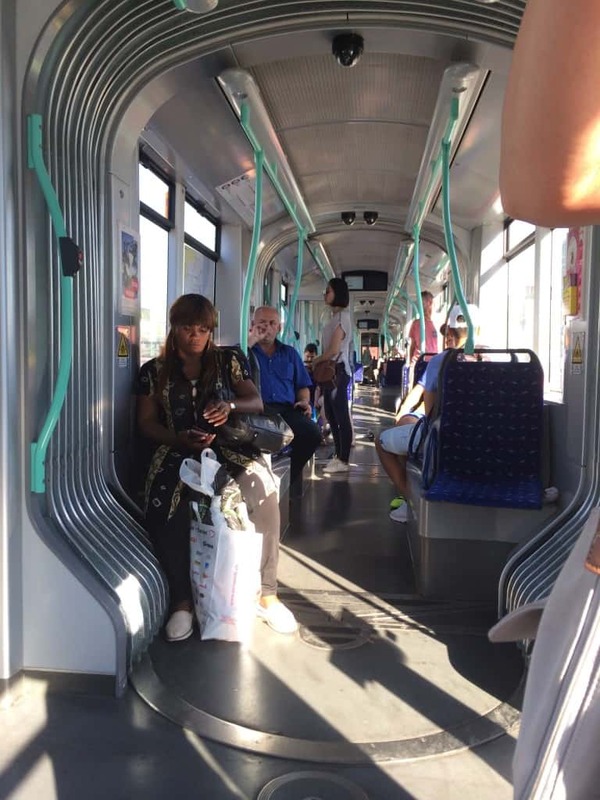 Compared to many cities, Geneva is more expensive in some ways, however, there is the free transport card which cuts down on transportation costs. 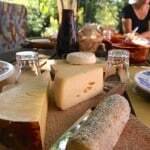 Also, there are free museums, and budget conscious travellers can pick up a lovely baguette with some choice fillings and cheese from a deli, along with some chocolate (maybe even a bottle of wine) for an inexpensive picnic lunch. 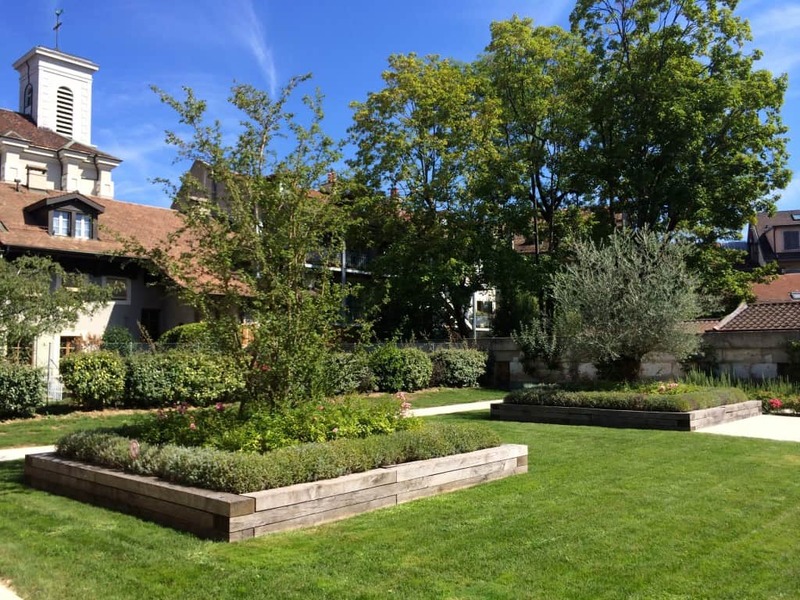 There are six Manotel hotels to choose from in Geneva, and prices can be quite reasonable. Goodbye for now, Geneva! I will return! 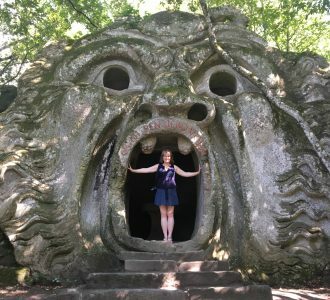 If you want to continue to Bordeaux on my Culinary Tour, CLICK HERE, or for that recipe I promised, just scroll a wee bit more. 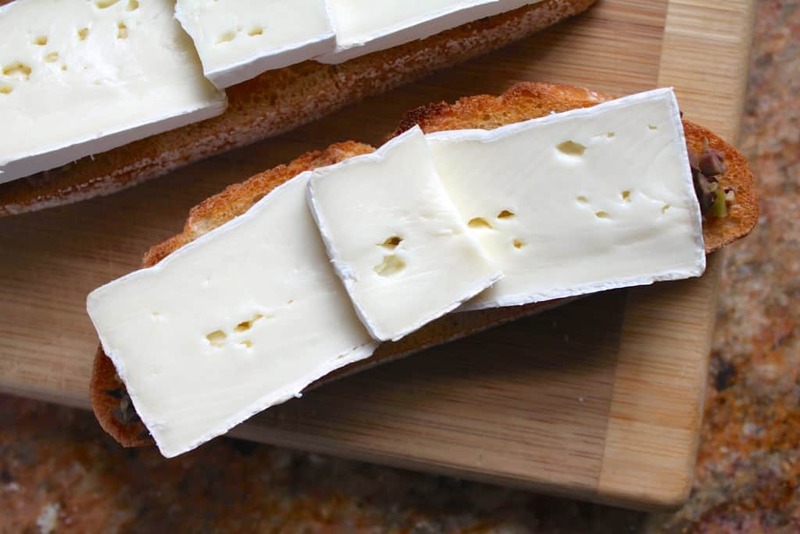 Toast the bread on both sides, and spread with a little tapenade. Place slices of cheese on top of the tapenade. 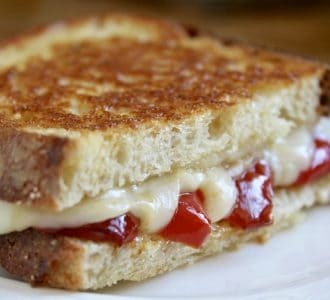 Grill until the cheese is hot and starting to melt. 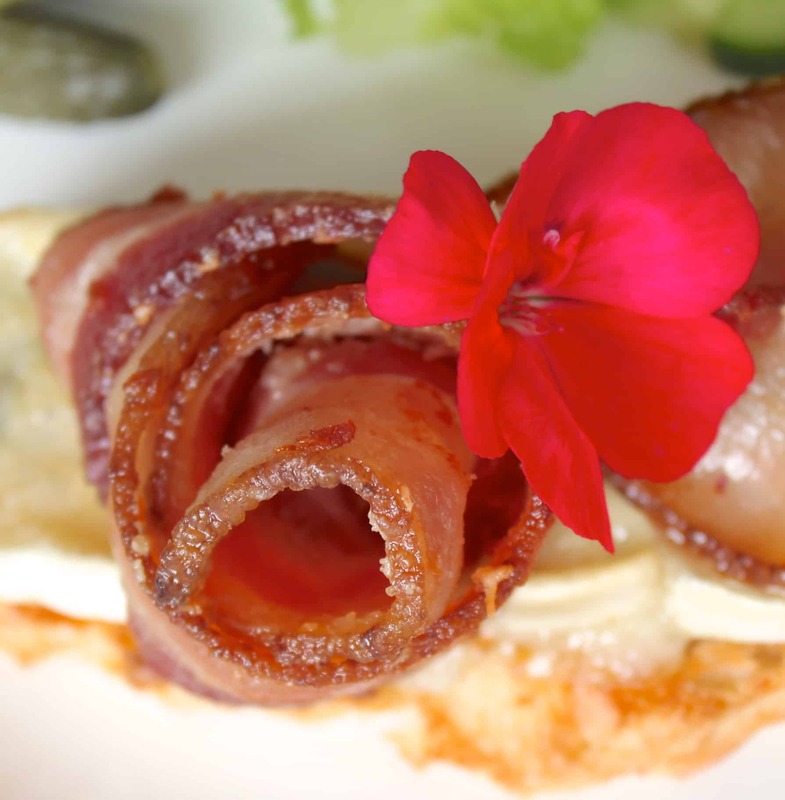 Form one rasher of bacon into a rose. Then form the other into a bow (like the pink breast cancer bow, more of a loop). 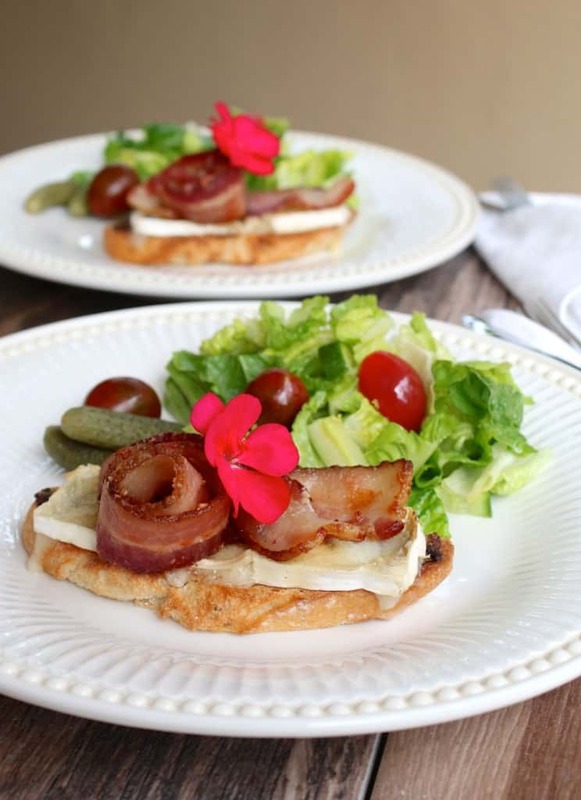 Place on the toast (with a flower, if desired) and serve with salad. Very simple, but most elegant. 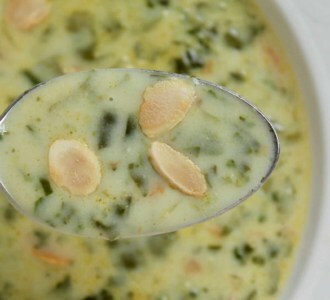 A quick and easy recipe inspired by a trip to Carouge, Switzerland. 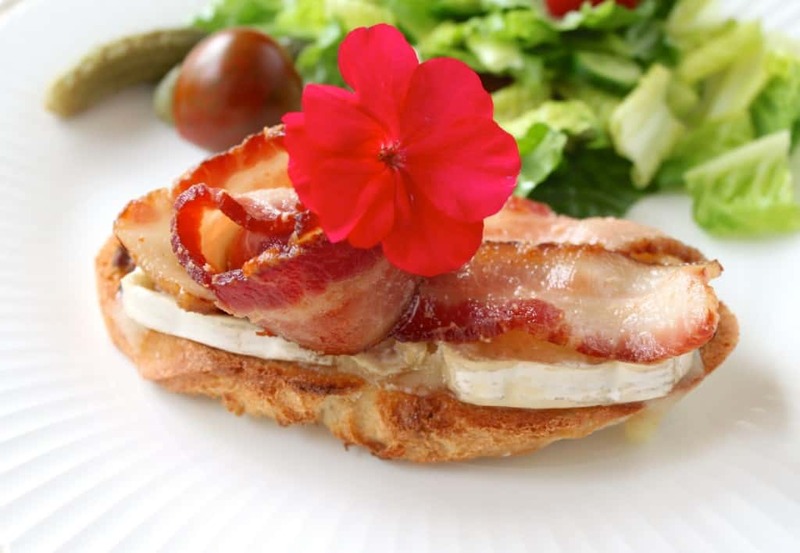 Form one rasher of bacon into a rose and the other into a bow (like the pink breast cancer bow, more of a loop), and place on the toast (with a flower, if desired) and serve with salad. Very simple, but most elegant. 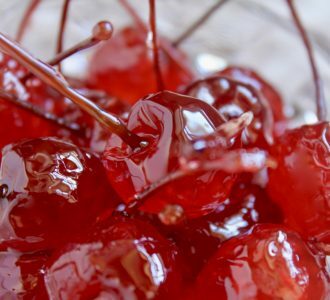 Your photography skills match your culinary skills — absolutely fantastic!!! Thank you for sharing both! 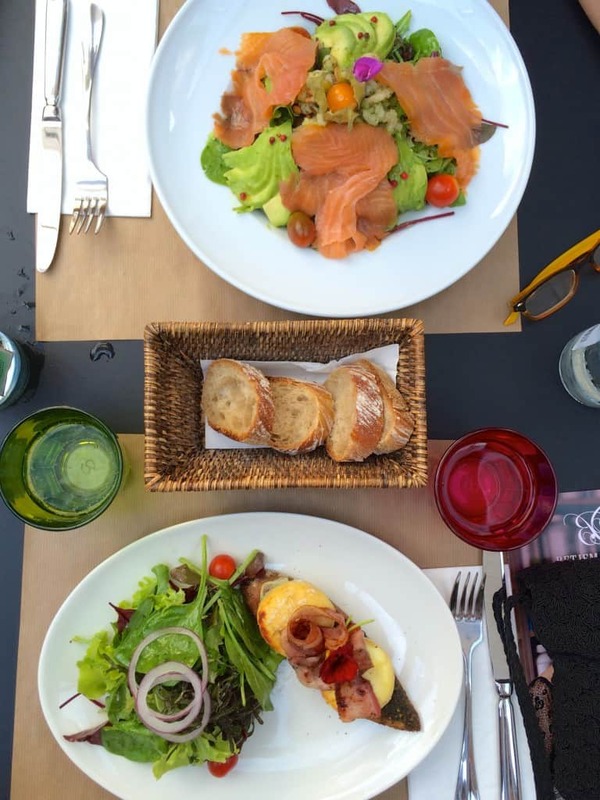 Oh three day is MUCH too short, Marie, but this was on my food tour of Europe and I went for a month, so I couldn’t really stay any longer in each city! Well, I could have, but my husband might have divorced me when I came home! haha! WOW!! 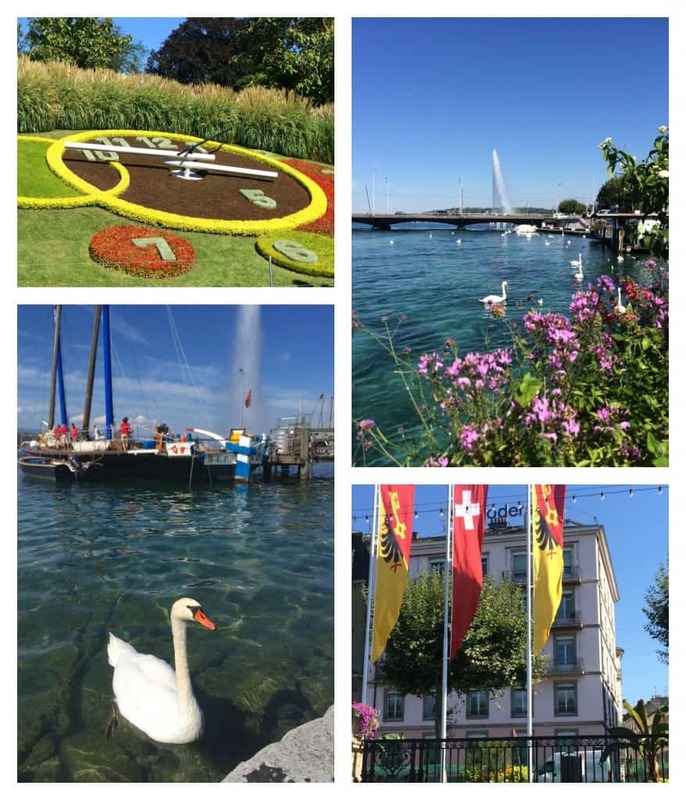 I have never been to Geneva, but it’s on my must-see list now! Your pictures are gorgeous! Looks delicious! hard to go wrong with bacon and cheese! 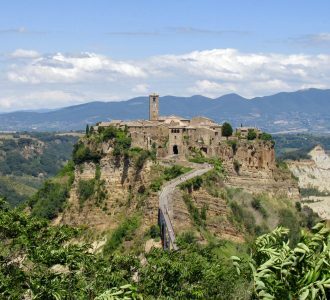 I love seeing all your photos…This little town looks charming! Absolutely agree, Cynthia! Never go wrong with bacon and cheese! :) Thanks, Carouge was wonderful! Seriously, what an amazing trip! So many great sites, and lots of great food! 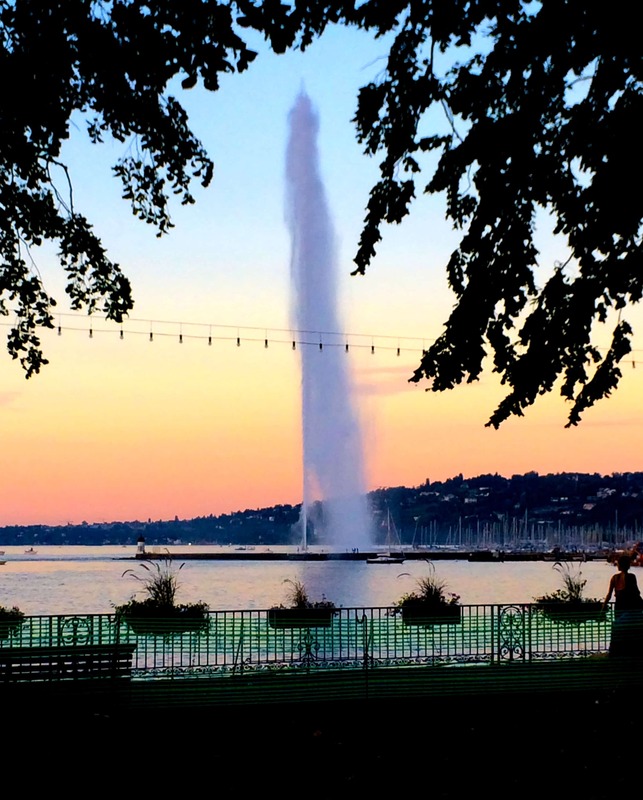 Geneva is on our list of places to visit! Love these crostini, when isn’t bacon a good idea?! It truly was amazing, Erin! I loved every moment, and I’m so glad you’re planning to go to Geneva sometime! 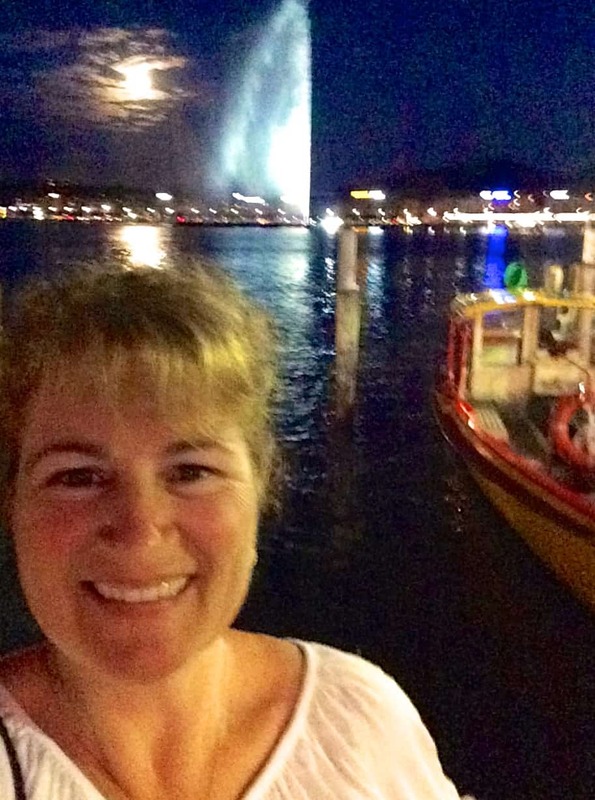 I always love having a tour guide when I travel – there is always so much more to learn that way! That being said, I’ve never had my own personal tour guide, so this sounds pretty magical to me! That balcony is amazing, and I can see why you wanted to recreate this dish! 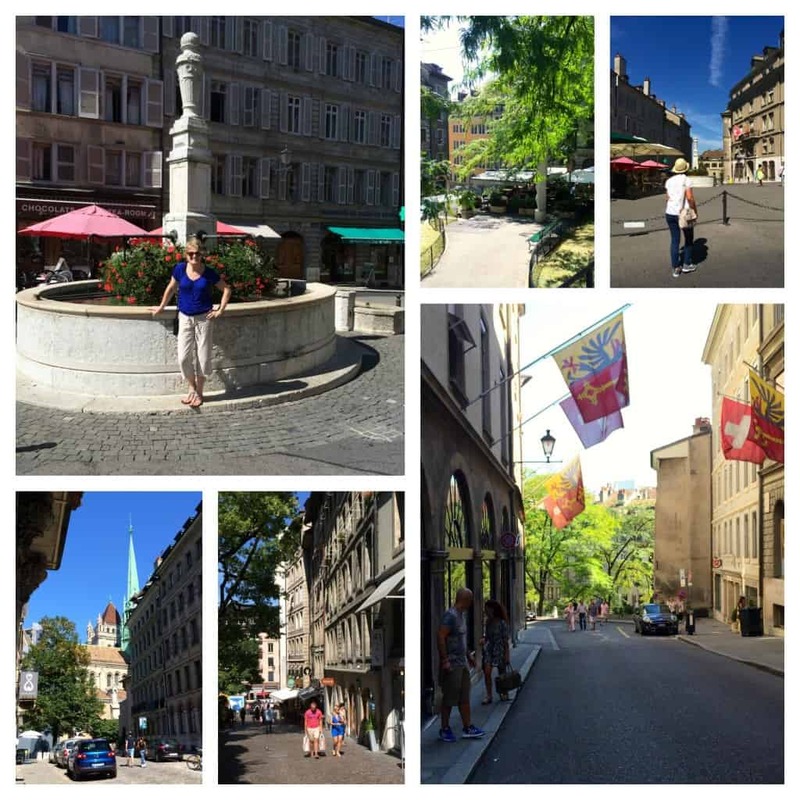 There are locals in Geneva who donate their time to giving tourists tours of their city, which I think is just marvelous! It’s always the best to be introduced to a city by someone who knows it like the back of their hand. 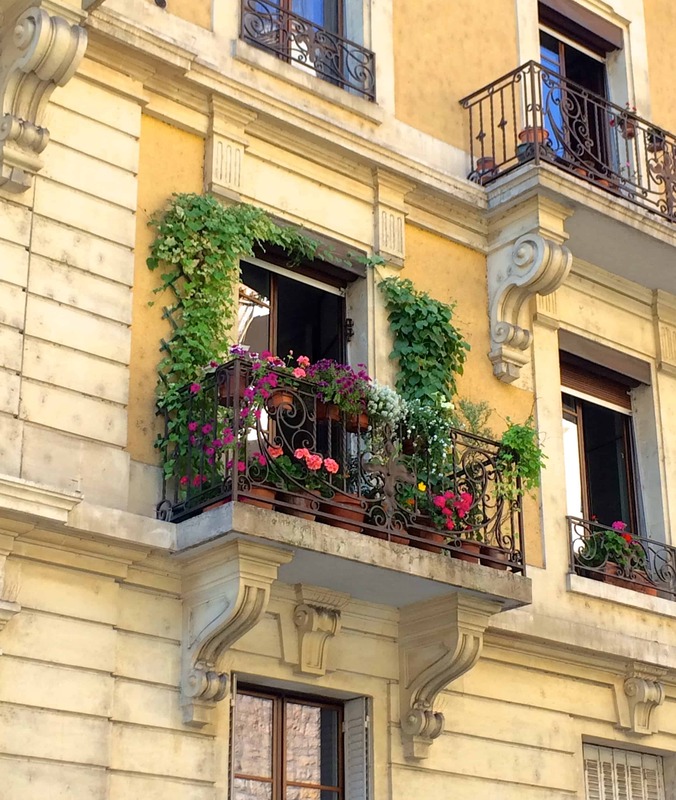 Yes, I was just in awe of all the beautiful balconies! Just stunning to see so many! Thanks, Deborah! I devoured every word & photo of this post. So much beauty and history to enjoy. Thank you! You are much too kind, Cathy! Thank YOU! Old town is definitely my kind of town!! So many beautiful photographs! It feels like we were right there with you. 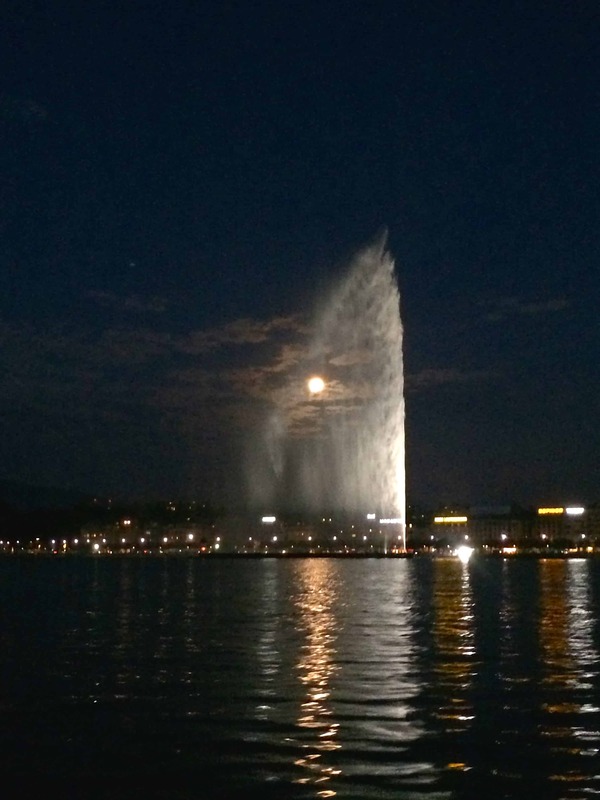 I have loved my trips to Geneva and have not been there in some time so it was wonderful to see it again through your eyes. I can completely see why you recreated this delicious crostini too. Such a unique and simple dish but full of robust flavors. Thank you for sharing your travels! 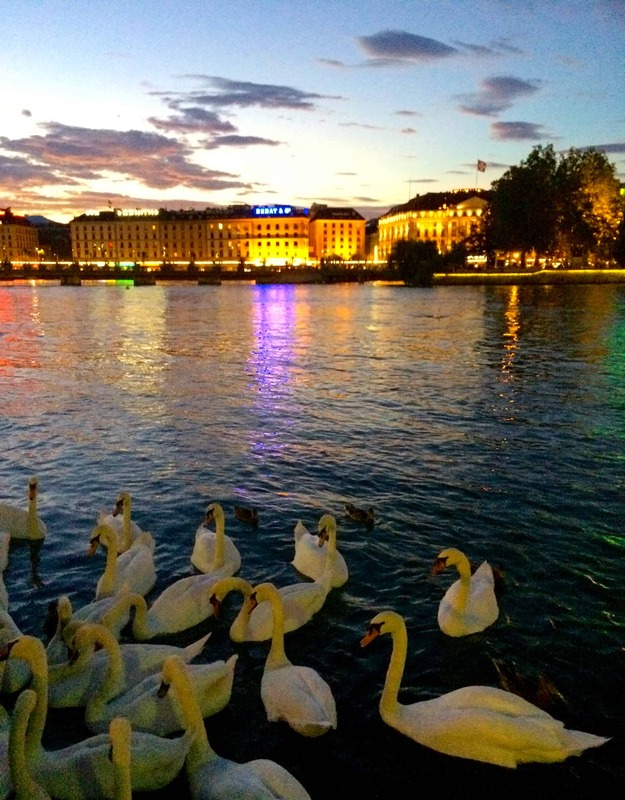 I’m so glad you have been to Geneva and enjoyed my post, Toni! My favorite type of dish, simple and delicious! Thanks so much! I’m so glad you plan to go to Switzerland Allie, but don’t put it off for too long! Bring the kiddies and you’ll have memories that will last a lifetime. That would be brilliant to travel with a Swiss friend, too! 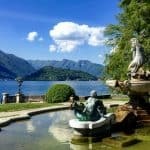 I’m sure you will love all of Switzerland, it’s truly one of my favorite countries! Thank you for your lovely comments! you pics from Geneva are amazing!! I’m obsessing over all the colors and bringing home a little food souvenir is my favorite. 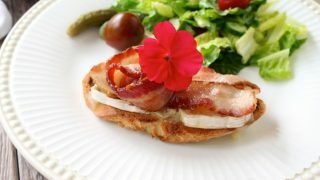 The bacon and cheese crostini is a: genius, b: delicious and c: so easy!! I can’t wait to re-create it at home and pretend I’m in a cafe somewhere in the heart of Geneva! The crostini are all those things, aren’t they? 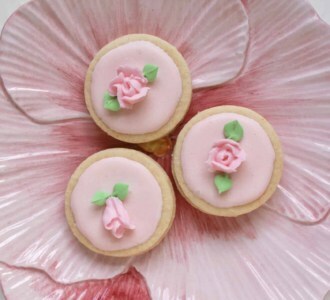 I will be making them in my own kitchen often! Your previous posts have made me add Geneva to my bucket list but this one now trying to mark a date in the diary! 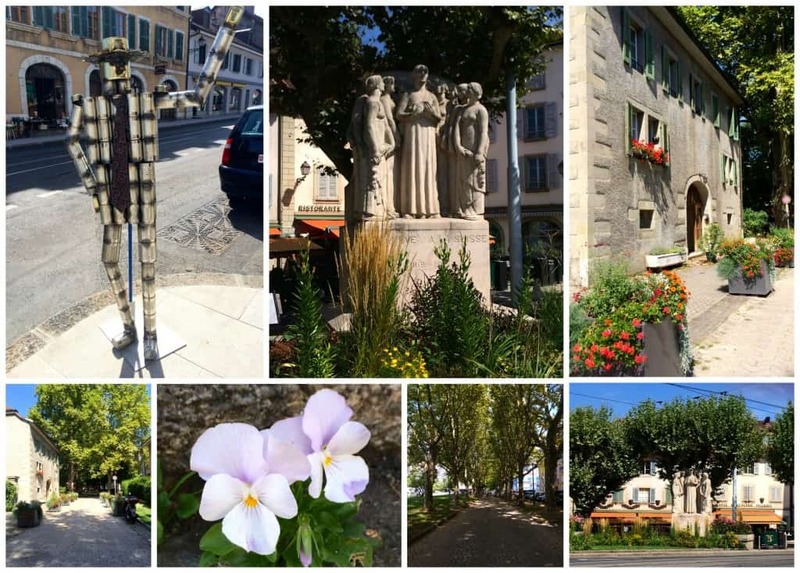 Visting Carouge looks wonderful – and all these shops! Love that little mini handbag especially for Pascöet’s chocolates. Must have been super to visit with Gaetane. 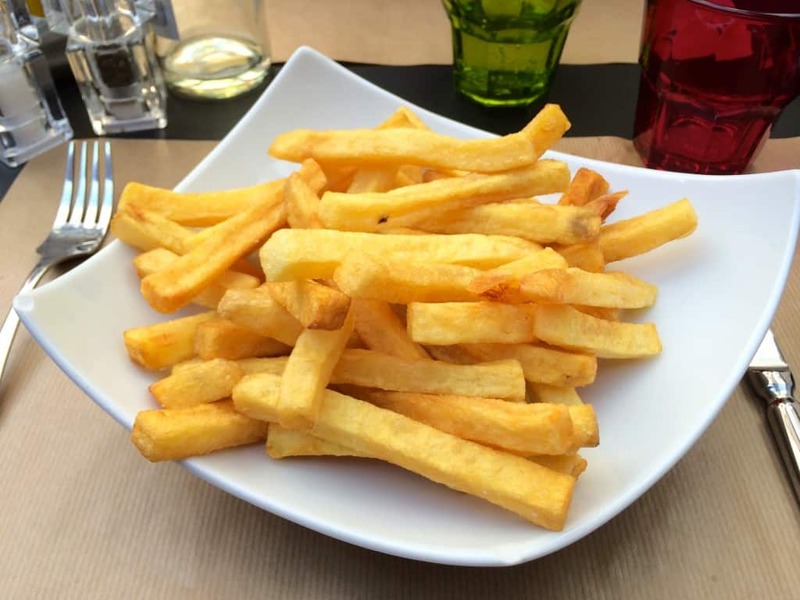 French fries for dessert? They’re probably still talking about you there, hehe! 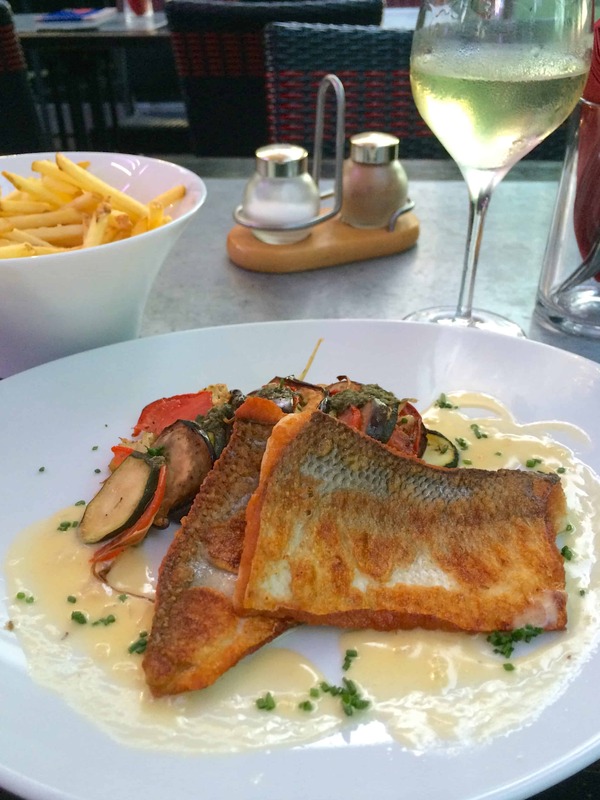 The grilled Fera fish looks delicious but see it’s curved – that tip you posted of Chef Bedouet’s could have helped. What a beautiful post and fabulous photos. I do hope you are able to go to Geneva, Jill! You would truly appreciate everything it has to offer. Merci! Globus looks like my kind of store! I’d have to be careful not to spend hours in there. Did you pick up any fun foodie things there as a souvenir? I got some Swiss biltong in a food market in Zurich to bring back for my husband (sssssh … don’t tell customs I brought back meat). 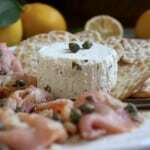 The recipe looks delicious and perfect for an appetizer or upcoming holiday party. Thanks for sharing! I didn’t even see the rest of GLOBUS! I can only imagine what torture that would have been! I didn’t know the Swiss made biltong, but I’d love to have tasted it. The crostini doesn’t even really need a recipe, it’s that easy. Hope you try it! 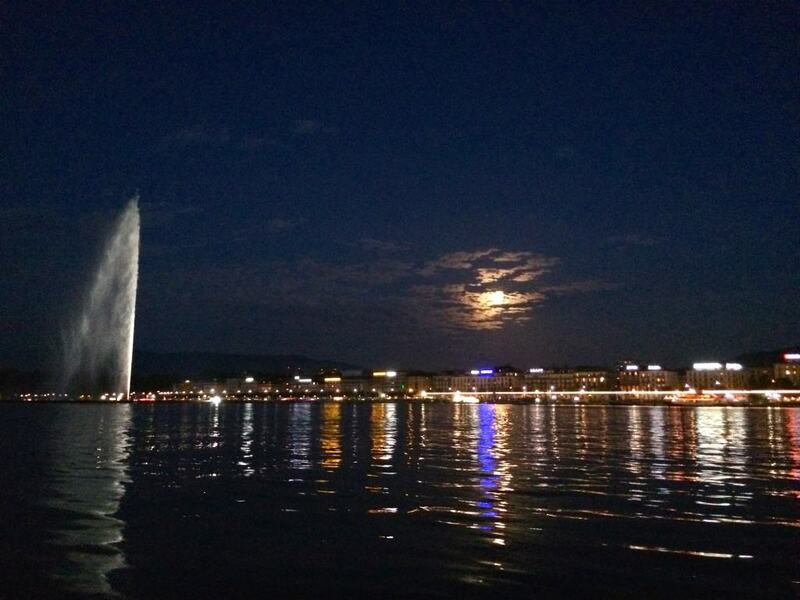 All of your posts make me want to book a trip to Geneva right now. It looks beautiful during the day and at night. And the food looks incredible too. Thank you for sharing your trip with us! Christina, another beautiful place! And those mushrooms in the market. Lovely! Thank you, Liz! 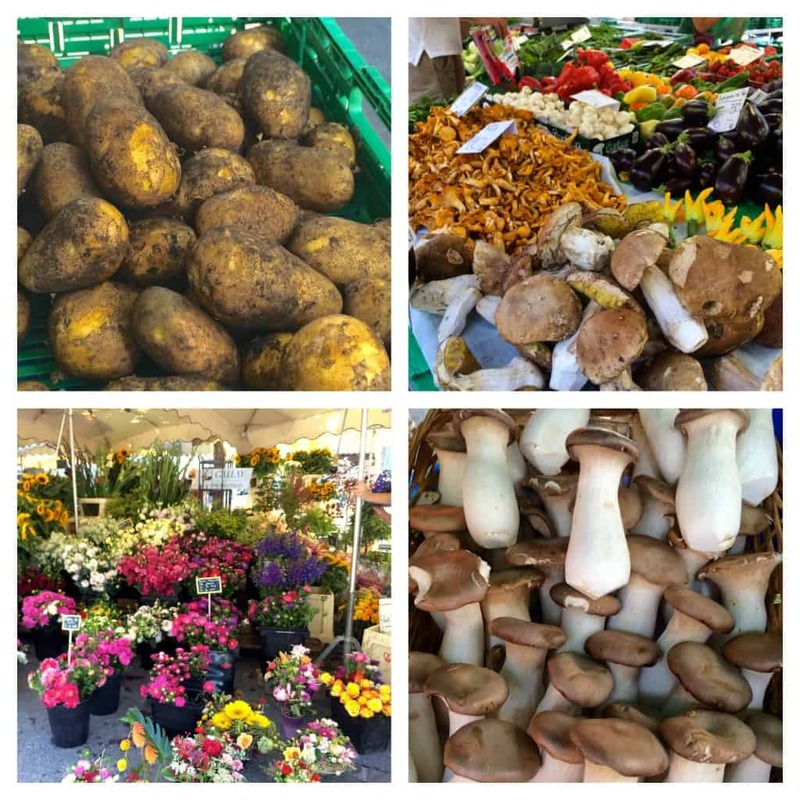 All the produce in Geneva looked fabulous! How beautiful! I’ve been to Geneva only once when I was about 15 and we were only there for a day on our way back from Italy. My Dad drove all the way to Italy from Scotland towing a caravan and managed to get four weeks holiday, if he stopped off in Geneva for a meeting on the way back. Well worth it in my opinion, four weeks is the right length of time for a holiday! Sounds like a wonderful personal tour. Good Company, lots of flowers and great food. Traveling is so much better when you learn about the history of the area and actually see and walk around or amongst the important highlights or significant statuary . Time for us to go to Geneva again. More lovely photos! It’s so much fun to remember our travels, isn’t it? And the crostini – it sounded wonderful from the start, but adding the tapenade? Fantastic! Oh thank you, David! It is fun, but it’s also hard because one longs to go back and re-experience it all over again, no? 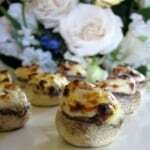 Yes, tapenade on the crostini under the cheese is a bit of a “why didn’t I think of that?” idea!